It's time for romance. Who doesn't love that? And these few gifts. I see 3, actually. 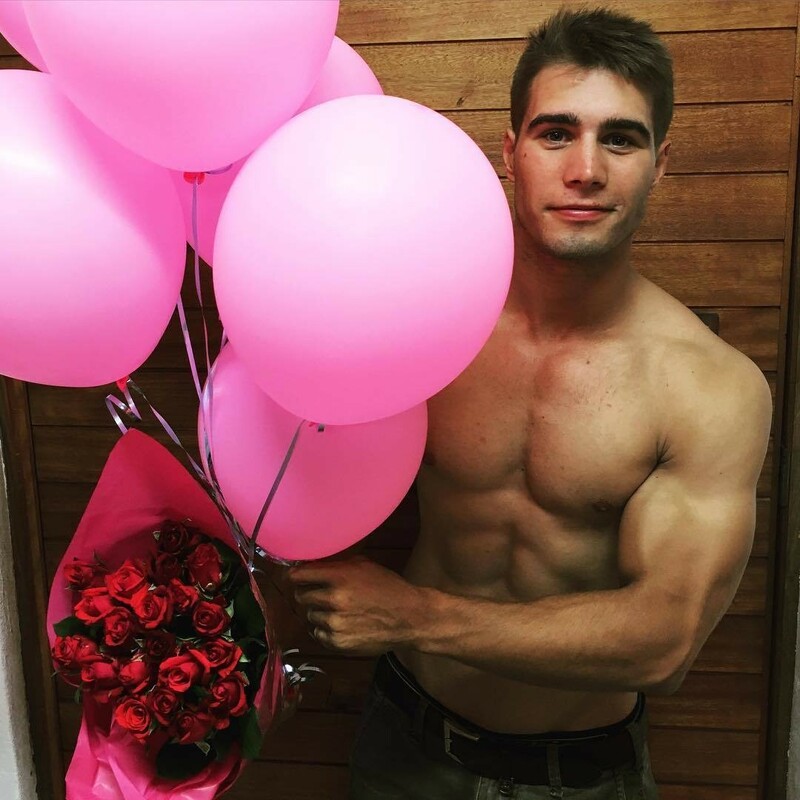 The roses, the balloons, and him!